RECEIVE GUIDE IN INBOX ← Click here if you would like to receive an electronic copy of the Rec Guide via e-mail. Want to teach a class for area residents? Complete an online Class Development form and return it to the Rec Dept. Hard copies of the Guide can be found at the Sandy Community Center (38348 Pioneer Blvd) and Sandy City Hall (39250 Pioneer vd). Questions? 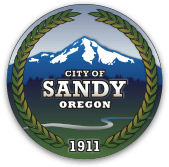 Contact the City of Sandy Recreation Department at recreation@cityofsandy.com or call (503) 668-5569. Adult Coed Recreational Softball League - Check in here for information regarding Sandy's summer coed softball league. The Season runs from mid-June to mid-August. Friends of the Sandy Pool - Friends of the Sandy Pool is a community based coalition of citizens, service clubs and the Oregon Trail School District formed to benefit the pool and it's patrons. They invite and share community input regarding the needs of our pool and look for ways to provide financial support through local fundraising. Bornstedt Community Garden: Call the Recreation Department at (503) 668-5569 for more information.